Anti-Gunners use terminology to create a set of standards and parameters with which they guide the gun conversation. The terms they use often go unnoticed, but are included in the conversation as a tool to shape the narrative and passively influence anyone listening. Passive influence is the key to convincing people because it seeps into the sub-conscious and alters the thought process. If we hear something often enough, we will start to believe it. Often, we accept and believe things based on familiarity alone. Anti-gun terminology brings with it familiarity because of it’s consistent use. It also has a powerful visual impact. The imagery is purely for added effect. “Gun Violence” is the Anti-Gunner’s big-daddy, go-to term. This is the one they throw around most often. This is the one that, most effectively, shapes the narrative in their favor. This is the one they base their entire fear-campaign on. Why do you think Anti-Gunners put those two words together and why do you think they use the term “gun-violence” every chance they get? It’s because it changes your internal imagery of guns and your idea of what they are used for. It makes you think of something scary and unpredictable. It makes you envision something and it helps encourage you to associate “violence” with guns. They want you to think of those two words synonymously. Not everyone will envision the same exact thing when we hear the term “gun-violence” because we all come from different backgrounds, live in different environments and have had different life-experiences. The thing we can all agree on is that the word “violence” means something bad, something destructive and possibly something deadly. How that looks to each of us may vary visually but we all know it is aggressive and destructive. We may, each also have a different picture in our head when we hear the word gun. Some might envision a rifle, some a semi-automatic pistol, some a revolver and so on, but anyway you look at the term “gun-violence” it means relatively the same thing to everyone. It is a universal term that has ugly implications. It is also a term that completely misleads people by implying the gun is the violent component. I have never seen a gun commit a violent act. I have however, seen people commit violent acts. The reality that gets completely lost with this term is the fact that violence does not come from a gun. It comes from the Bad Guy. How do you think “Average Joe No-Guns” feels when he hears the term “gun-violence?” What about “Sally Soccer-Mom?” What thoughts race through her mind when the term “gun-violence” is used on the news while she and her family are eating dinner? “Gun-violence” is a term that has permeated our society. It unjustly scars guns and gun owners. Anti-2nd Amendment Radicals know this, that’s why they use it and that is why they encourage others to use it. Anti-Gunners know this too, but many just repeat the term like a parrot. If we hear something often enough, it becomes part of our thought process, whether it’s true or not. 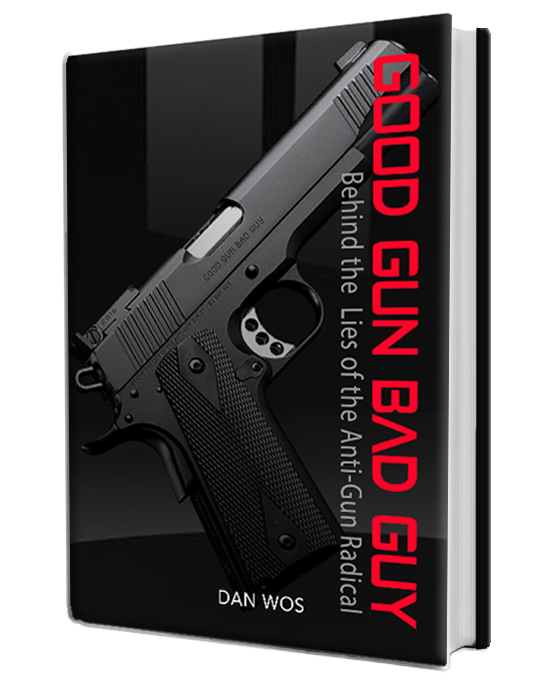 In my book Good Gun Bad Guy – Behind the Lies of the Anti-Gun Radical, I discuss other related topics and anti-gun terms such as: Assault Rifle, Gun Control, Common Sense Gun Safety, Wild West and others. Video: Did Obama Just Tell Illegals It's Okay For Them To Vote?